One month after suffering a torn MCL and tibia plateau fracture in his left leg, Saints head coach Sean Payton is returning to the sidelines on Sunday, Jay Glazer of FOXSports.com reports. 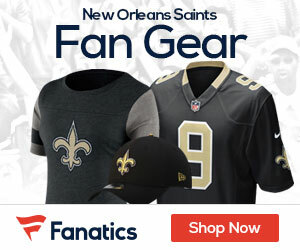 Payton sustained the injury when tight end Jimmy Graham crashed into Payton during the first quarter of the Saints’ 26-20 loss to the Tampa Bay Buccaneers. Following surgery, Payton has spent the last three games in the coaching booth. That arrangement was expected to continue for at least two more weeks, but Glazer reports that Payton surprised his team by informing them this morning that he’ll be back on the sidelines for today’s key NFC South game against the Atlanta Falcons at the Georgia Dome. Glazer adds that Payton will stand behind the line of scrimmage and will have someone holding his play sheet and looking out for him.